People didn’t take to eating with forks right away. When a Byzantine princess named Theodora Anna Doukaina gave gold forks as part of her dowry to Domenico Selvo in the 11th century, it caused such a scandal. God-fearing Venetians took it as an insult to God who they believed gave men their fingers as natural forks to eat with. In the 16th century, however, Italy became one of the first countries to adopt forks as eating utensils together with Spain. France followed suit but only after a century has passed. A fruit fork is going to be used when you are eating fruit as part of your meal. In fine dining experiences, these forks are usually used to pick up things such as grapes, melons, strawberries, and other pieces of fruit. These forks have been made to make eating fruit as easy as it can possibly be. If you have been served a fruit cup or a large plate of various fruits, then this fork should be what you turn to. Not everyone makes use of fruit forks in modern times. These are definitely useful utensils to have around but many people have taken to using generic table forks instead of forks that are specifically meant for the purpose of eating fruit. Regardless, if you want to seek out a nice fruit fork, you will be able to find many great options. Buying fruit forks that will look nice on your dinner table will be easy and you will be able to feel proud of your dining settings. Table forks are something that pretty much everyone will have in his or her kitchen. These forks are really just incredibly common forks that can be used for multiple purposes. Some people think that table forks and dinner forks are the same things and this is true in some cases. Depending on the type of table fork you are purchasing, it could be categorized as a dinner fork but this isn’t always going to be the case. Table fork has become a common colloquial term to refer to a generic fork. These types of forks come in several different sizes so often they wind up falling somewhere between a traditional dinner fork and a salad fork. This type of a fork isn’t something that you will see being used in a fine dining setting but it is very commonly used in many people’s kitchens. You can buy these forks in large silverware bundles and they will be very useful to you overall. These are fantastic forks that can be used for all sorts of purposes. If you want to buy some forks that you will be able to use to eat with, then these are going to work out quite nicely. You can find table forks that look really nice too. If you want something that is a bit more decorative in nature, then you can seek out table forks that look fancy. Some people consider the spaghetti fork to be a novelty utensil but others really enjoy making use of it. Spaghetti forks are meant to help people eat pasta such as spaghetti. The fork itself has these little ridges in the tines that allow the pasta to more easily twirl around the edges. This can make eating pasta such as spaghetti, linguine, and even fettuccine more enjoyable. If you really like eating pasta on a regular basis, then it may be worthwhile to seek out one of these forks. These are definitely not seen as forks that are an absolute necessity for every kitchen so it really comes down to whether you find them to be useful or not. You can eat spaghetti with a traditional dinner fork just fine so you should think about whether the ridges in the tines are enough of a feature to make you want to purchase these. It will definitely be a good tool to have at your disposal but you should consider how often you will make use of it. This is a less common type of fork so it won’t be the easiest fork to find in a retail setting. It may not be something that is carried in every store near you so purchasing one online is likely going to be the easiest solution. You will be able to find the perfect spaghetti fork very easily when you go online. People who enjoy pasta will have a good time with this utensil even if it may not be something that everyone will fully appreciate. A toasting fork is used to hold meat in place over a fire. You will find people using these types of forks when they are cooking over an open flame. Most of these toasting forks have only two tines but you will find some on the market that will have three. These are really useful to have around when you are cooking meat on a grill or a fire pit. The handle on these toasting forks is really long so that you don’t have to get your hands too close to the flame. This is important as you want to try to keep yourself as safe as possible when working near an open flame. The length of the fork will not be so long that the fork becomes hard to wield either. You won’t have any problem poking the meat and turning it when you need to. If you want to cook meat over an open flame, then it is imperative that you have one of these forks available to you. They are going to work very well to help you cook things perfectly. This is going to be the easiest way to turn the meat to ensure that it cooks thoroughly. You will also be able to pierce the meat in order to determine how close it is to being fully cooked. Finding toasting forks won’t be difficult either. You should be able to purchase these just about anywhere. It is a good idea to buy a durable set so that they will stand the test of time for you. Many of these will come with wooden handles but you shouldn’t worry about them as they are far up enough to where the flames won’t be a problem. Salad forks are among the most common types of forks that are in use in modern times. 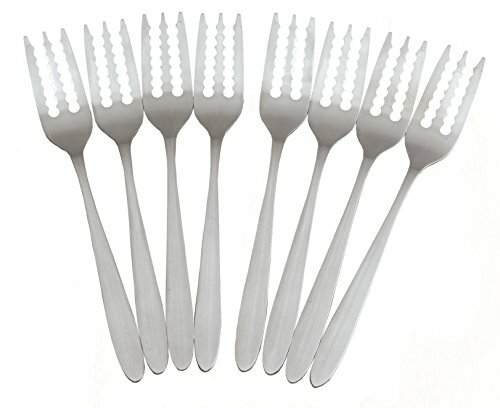 Many people actually use these forks to eat anything but they are specifically meant for eating salad. It has a good cutting edge on it so that you can cut lettuce or other types of vegetables if you need to. People who eat salad as a regular part of their diets will definitely benefit from having many salad forks in their kitchens. Some people mistake these types of forks for dinner forks in modern times. Dinner forks are actually a fair bit longer than their salad fork cousins. Even still, if you aren’t the type who cares about fine dining etiquette, these utensils can be used effectively for many purposes. You can buy a superb set of salad forks that will look great on your dinner table as well. If you care about fine dining etiquette, then the salad fork has some interesting facts you should know. When a salad is served first in a meal, the salad fork should be placed to the far left of your plate, ahead of the other forks. If the host decides that salad will be served after the main course, then your salad fork should be placed just to the left of the plate with the dinner fork being placed before it. Forks are placed down in the order they are meant to be used in this situation. Dinner forks are the type of fork that you should be using to eat the main course of your meals. These dinner forks are longer than the salad forks that are mentioned above. These types of forks generally have four tines and they are all at an equal length to each other. This is the fork that you will be using to eat the main course meat dishes, such as beef or chicken. It will likely wind up being the largest fork in your traditional silverware drawer. There are larger specialty forks but those wouldn’t usually be placed with the normal silverware. This is the type of fork that you will see in most silverware sets that are on the market. You will be able to buy them very easily and should definitely own several of these. 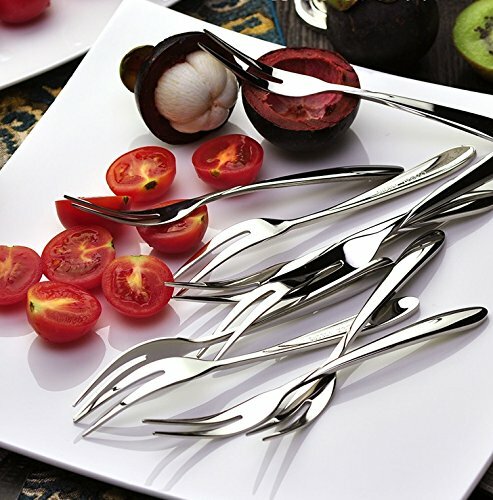 There are many different styles of dinner forks that you can choose from too. Some of them are going to be very ornate and will look just right during a fine dining experience. Others are more quaint and will act as utensils that you will want to use for everyday purposes. It won’t be hard to find the dinner forks that you need so just take your time to pick out the silverware that is going to be the most appealing to you. Oysters may not be something that you eat all of the time but it is important to have the right utensil available to you when you do. An oyster fork is designed just right to make eating oysters an enjoyable experience. 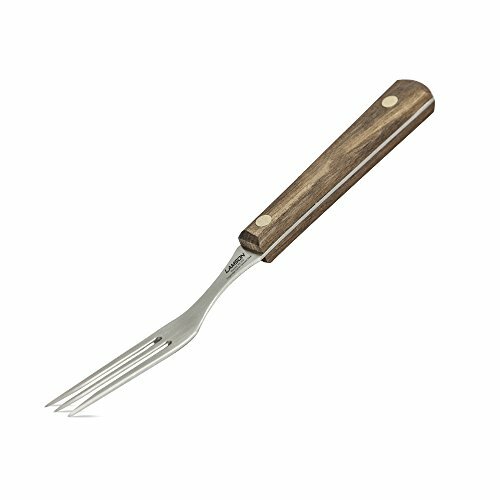 They are good for eating most types of seafood as you will be able to use the tines to effectively crack open shellfish. This fork even has the interesting distinction of being the only fork that is placed to the right of your plate during a fine dining experience. You will love having a good oyster fork when you are dining on seafood. 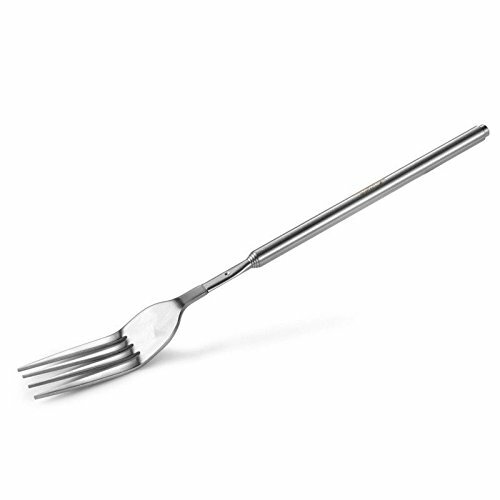 This type of fork should be used when you are eating shrimp, lobster, oysters, and other types of shellfish. People who really love their seafood would be well served to own several of these oyster forks. They are perfect for enjoying a good seafood meal and they look very nice as well. Typically, you will need to buy your oyster fork by itself. These aren’t a utensil that will often come in a pack with multiple types of silverware. This is considered to be a specialty utensil in modern times. It isn’t as commonly used as many other forks but it is excellent at doing what it needs to do. As you might expect by their name, dessert forks are meant for eating desserts. These forks are judged to be the perfect size for eating desserts such as cakes and pies. You will be able to use them very effectively to this end and will like having them around in your kitchen. You definitely don’t need to use a dessert fork in order to eat desserts but this is what you would be expected to use in a formal dining setting. If you like adhering to formal dining etiquette, then it is very sensible to buy yourself some dessert forks. Sometimes these forks will be referred to as pastry forks as well. These terms can be used interchangeably as they have the exact same purpose. Any dessert that could be considered to be a pastry is supposed to be eaten with this type of fork. Dessert forks are actually very common too. It is possible that you might be able to purchase some of these forks in a large silverware set. If you want to make sure that you are getting traditional dessert forks, then it may be beneficial to look for them in a standalone box. You shouldn’t have any trouble finding these and they will work fantastically for all of your dessert-eating needs. Cocktail forks are specifically used in order to handle garnishes such as olives. These forks are designed in such a way that it makes it easy to place olives and other types of garnishes that people use in drinks. If you want to be able to make a drink such as a martini, then having a cocktail fork handy is going to be quite nice. You will be able to handle the olives with ease and it will turn out perfectly. Of course, cocktail forks aren’t always used simply for this purpose. Some people use these to eat seafood as well. They can be quite effective at stabbing seafood so they make a good utensil for this purpose. In modern times, people seem to use these forks more commonly for eating seafood than they do for handling cocktail garnishes. You’re going to have to seek out these types of forks if you want some for your kitchen. They aren’t going to come in most silverware sets so you will need to track them down by themselves in most cases. They will be very useful to you, though. If you have your own bar area in your home and like making classy drinks, you should definitely have cocktail forks to complete the experience. The extendable fork is definitely not something that would go over well during a fine dining experience. This is a novelty fork that people have created to be a conversation starter. This fork has an extendable shaft that allows it to reach further than any normal fork would. The idea is that you could use this fork to steal food off of other people’s plates. It’s pretty easy to tell that this is mostly a joke idea but people with a good sense of humor might be able to find the fun in owning something such as this. If you want to own a funny piece of silverware that is going to garner a reaction from people, then this is worth a purchase. It obviously isn’t something that you will eat with regularly but it could help you to get a few laughs and make someone crack a smile. Laughter is important so just bring this out when the situation calls for a little levity. Buying a fork that is specifically meant for carving may seem a bit unusual to people who aren’t used to fine dining. Carving forks are actually quite useful as they can make carving slices of meat a lot simpler than it would otherwise be. Many people simply use any type of fork to hold the meat in place while they are carving it with a knife. The carving fork is simply specifically designed for this purpose and it does the job quite well. It would be smart to keep one of these carving forks around your home for certain occasions. It will make carving your turkey for Thanksgiving dinner that much simpler. You can bring it out whenever you need to carve a larger piece of meat and it will expedite the process. This isn’t something that is seen as an imperative utensil to own but it can be nice all the same. If you want to find a good carving fork, it is likely going to be easiest to buy one individually. You can sometimes find carving forks that will come with a set of knives but this isn’t entirely common. Seeking out a carving fork specifically is probably going to be your best bet. You will be able to get a high-quality carving fork and will enjoy making use of it. Granny forks are definitely not very commonly used in modern times. There are many people who don’t even know what they are. It is possible that you may not ever come across one of these granny forks in a normal retail setting but they can be useful in certain situations. A granny fork is generally used as a multi-purpose tool that can assist you with preparing pasta. You can make good use of your granny fork to stir your pasta. It is also commonly used to help toss the pasta, drain it, and to pierce it to judge whether or not it is done. You could certainly do all of these things with a more traditional fork but this fork is specifically designed to make it easy to use in this way. It is kind of similar to a spoon in some ways but it has tines that make it ideal for turning pasta. If you want to purchase one of these granny forks, then your best bet is probably going to be looking online. The one listed below is a popular model that features three tines. You will find some granny forks that come with only two tines and others that have as many as five. The particular style that will appeal to you the most is up to you but at least now you know what these are meant to be used for. Sporks are definitely an interesting utensil as they aren’t exactly a normal fork. This utensil combines the idea of a fork and a spoon into one convenient tool. You will be able to scoop things up using this spork while also being able to stab your food with the prongs. Many people love making use of sporks at their dinner tables but there are also those who find them to be unrefined. Whatever your thoughts on sporks are, it is easy to tell that these can be quite useful in the right situations. Instead of needing to switch between several different utensils during the same meal, you can make use of your spork in many situations. This is definitely not a utensil that is meant for fine dining experiences but it is something that people quite enjoy in modern times. If you think that it would be useful to you, then it would be worthwhile to purchase some for yourself. You won’t find sporks in every type of silverware set that you purchase at the store. They aren’t uncommon but you will have to specifically seek them out in all likelihood. There are also sporks on the market that are made to be disposable so you will have those to consider as well. Purchasing a good wooden or stainless steel set of sporks would likely be preferable. You will also find many different disposable forks on the market these days. Most of the time, these forks are made out of plastic and are meant to be discarded after one use. Many people have started to shy away from using disposable plastic silverware because of its negative impact on the environment. In response to this, companies have started to offer disposable silverware options that are completely biodegradable. This is excellent as it allows people to have the convenience of disposable silverware without having to feel guilty. 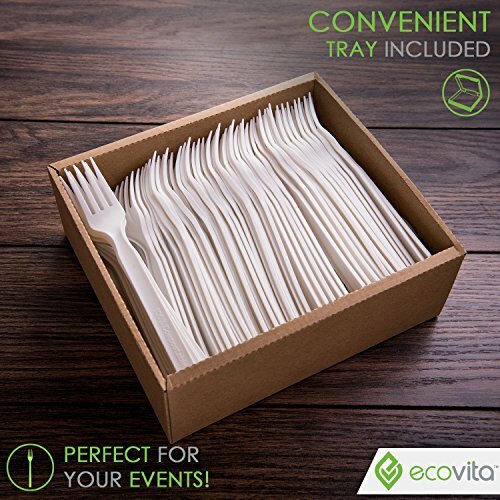 Biodegradable silverware is going to be quite useful when you have a large gathering. You can hand out these forks and everyone can eat very easily. Once the party is over, you won’t have to worry about washing dozens of individual forks. Biodegradable disposable forks are really very convenient. They are environmentally friendly and they can help to make your life easier in certain situations. These forks are going to be used for outdoor parties and other similar gatherings. It’s worthwhile to keep some of these around for the right occasion.